There’s something you should know about girls dresses, size 10. Before I started TwirlyGirl, my daughters lots of clothes, yet basically they wore the same 2 or 3 outfits over and over. I urged them to wear something else, just so that other parents wouldn’t think they had nothing to wear. But that was my hangup, not theirs. I realized that I’m the same way. I tend to wear my favorite outfits over and over as well. That’s why I design all our TwirlyGirl garments to be extra-strong… so they hold up well. 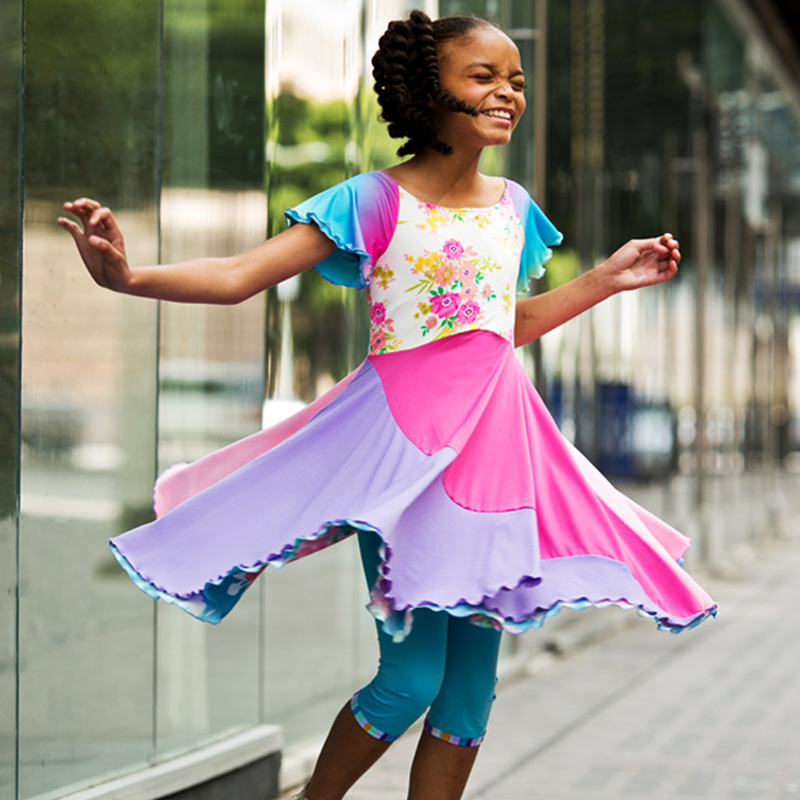 And because many of our styles are reversible, girls get two looks in one. If your children are anything like mine, they’re going to wear their TwirlyGirl clothing ALL THE TIME.